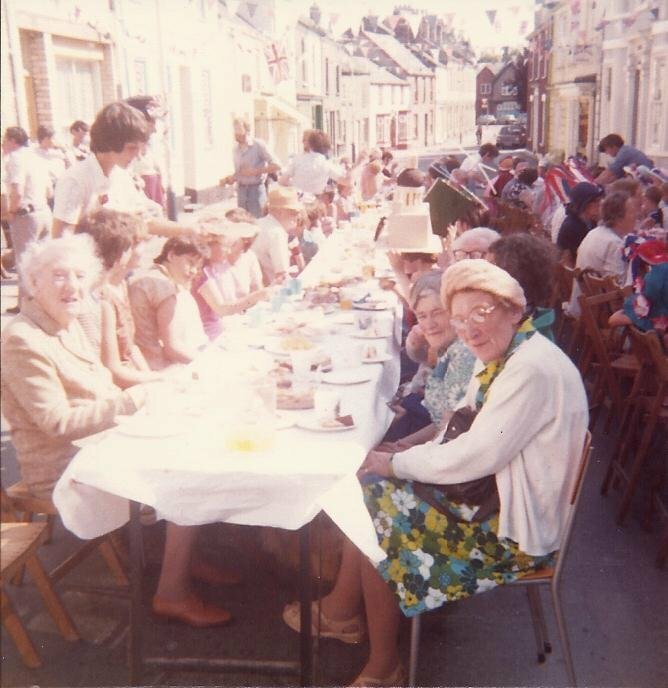 This photograph also shows the Tea Party held to celebrate the Royal Wedding of Prince Charles and Lady Diana Spencer in July 1981. Second on the right is Dorrie Jeffery (or Jeffries), formerly of Pilton Dairy on Pilton Street. Pilton Street was closed for the party.